The University Belt in Manila is called such because of the proliferation of schools, particularly universities and colleges, in the area. Most recognizable are institutions such as the University of Sto. Tomas, University of the East, Far Eastern University, Polytechnic University of the Philippines, Centro Escolar University, Manuel L. Quezon University, San Beda College, San Sebastian College, La Consolacion College, National Teachers College and College of the Holy Spirit. The U-belt, as it is also known, stretches all the way to Intramuros and Padre Faura where many other institutions like UP Manila, Mapua, Letran, Lyceum, PNU and Sta. Isabel College are located. The streets in the area are very familiar to many as they are usually indicated in the sign boards of jeepneys and buses plying routes in the area. 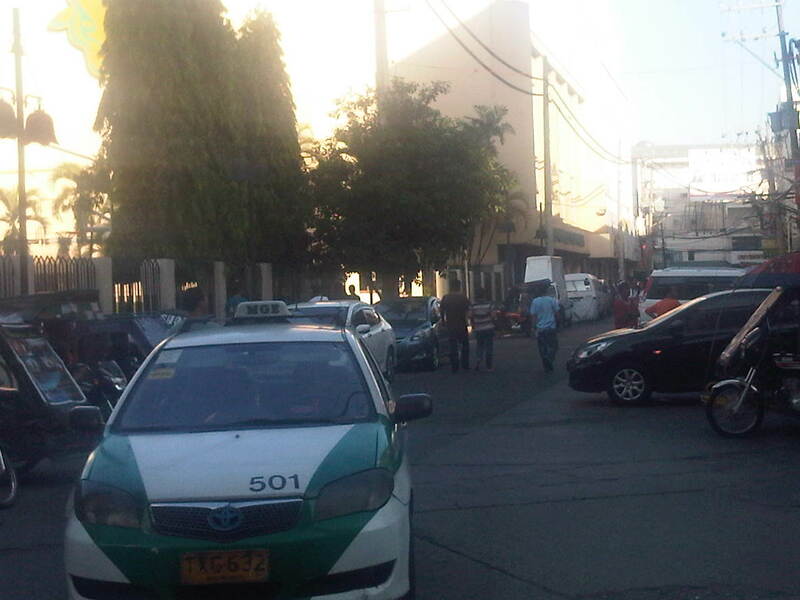 These include Recto, Lerma, Espana, Legarda, Mendiola and Quezon Blvd. An ubiquitous street in the area is currently named Nicanor Reyes Sr., in honor of the founder of the Far Eastern University, the main gates of which are located along the street. Nicanor Reyes, of course, is more popularly known as Morayta for most people even the younger generation who picked up the old name of the street, which is more familiar with public transport drivers (jeepneys and taxis). Morayta connects Espana with Recto. 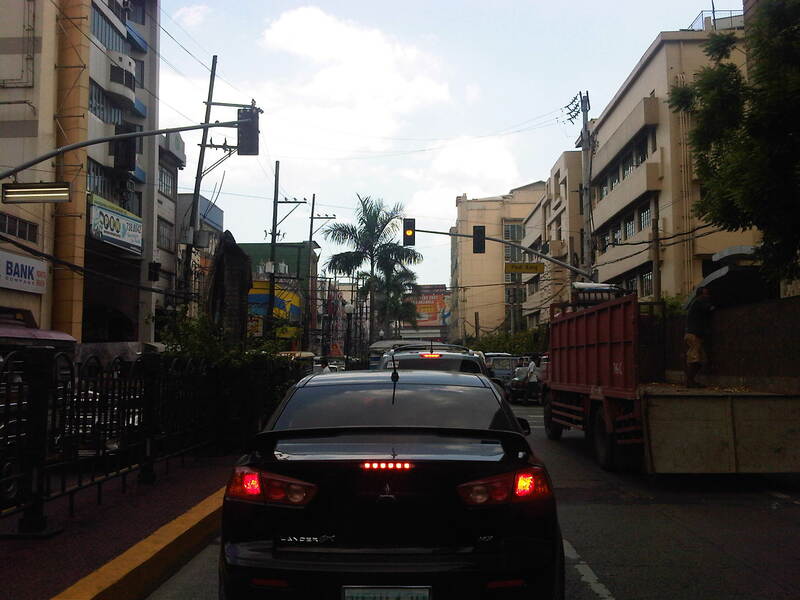 Morayta Street (Nicanor Reyes St.) – Recto bound traffic with the FEU on the right side. There is practically two lanes per direction but one lane is usually occupied by parked or waiting vehicles. 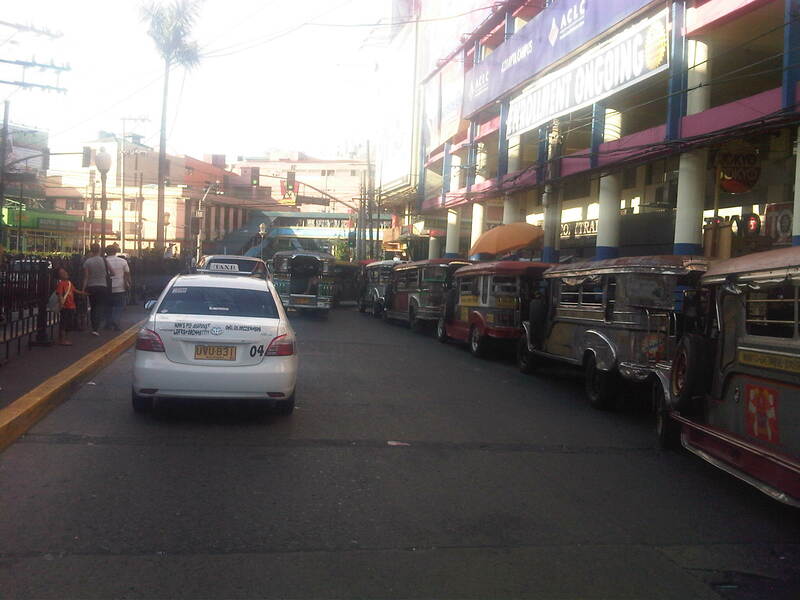 Add to this the operations of public utility vehicles as the street is along jeepney routes. 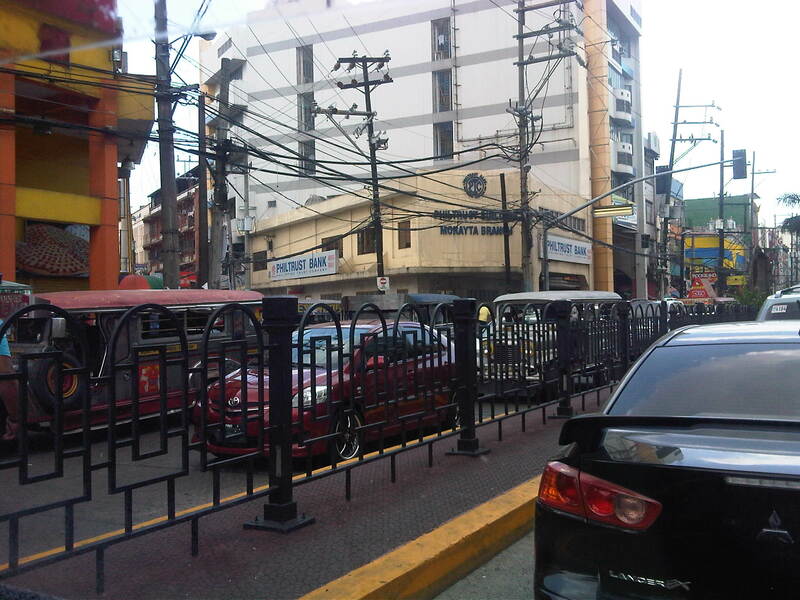 Railings – street railings on the median island along Morayta help minimize jaywalking along the busy street. There are no median openings for vehicles along the street though there are junctions like the one with R. Papa Street shown in the photo. Pedestrian traffic signal – there is a traffic signal along Morayta for pedestrians crossing the street in front of the FEU main gate. Such signals may be equipped with a button for on-demand green indications. 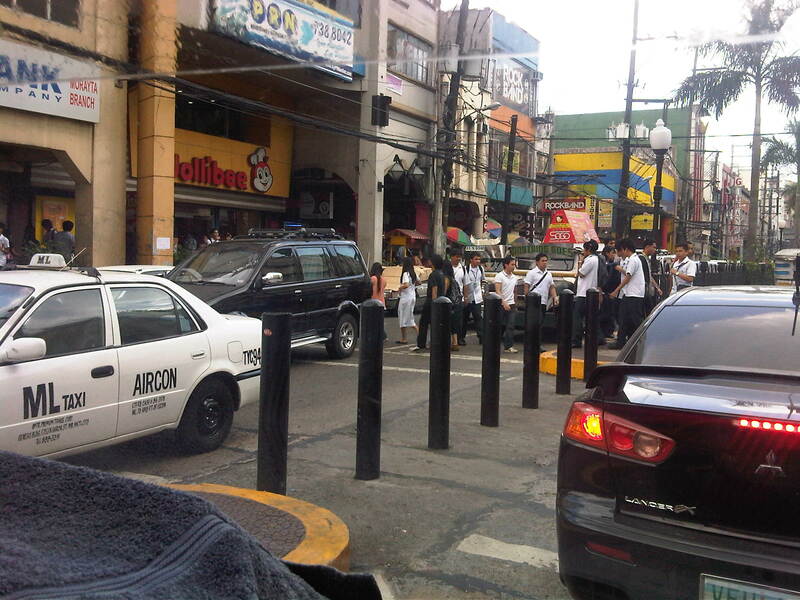 Pedestrian flow – because of the schools, there are many students (generally in uniform) in the area. Each school would usually have a distinct uniform for females though some are generally in white with their school logos or IDs the only distinguishing aspects. Meanwhile, male students usually wear white polos and black pants. 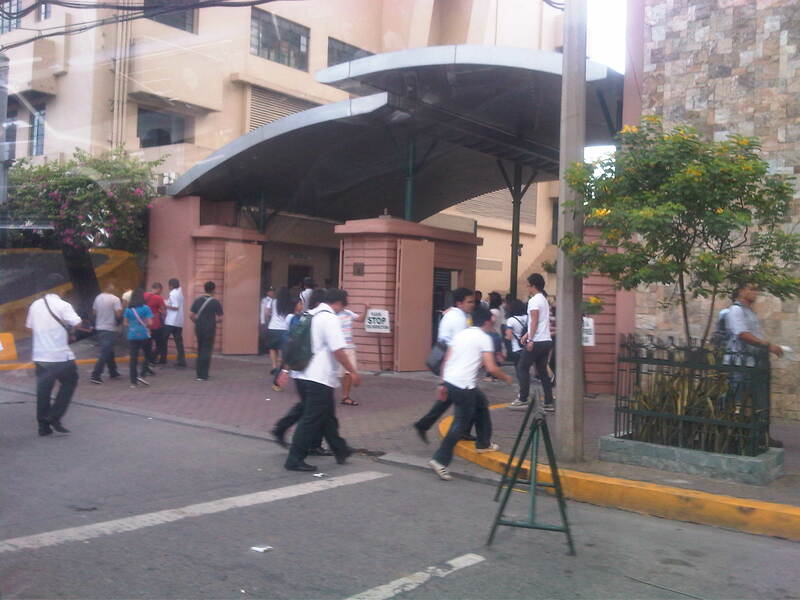 The photo above shows students crossing in front of the FEU gate. The photo also shows the typical commercial establishments in the area that include fast food and book shops. FEU main gate – the university has several access/egress points along Morayta including those for people only and this gate where vehicles may pass. Many universities (with only few exceptions) in the University Belt have very limited space with some having practically no campuses to speak of but only buildings where they conduct their activities. Parking and standing – parked and standing (waiting) vehicles occupy significant road space. While standing vehicles have their drivers and could be made to move, the parked vehicles generally take up a lane that could otherwise be used by pedestrians. I am not aware of any pay parking regulations along Morayta. There are no signs indicating pay parking schedules and rates, and have not seen parking attendants like the ones in Makati. Approach to Recto – the intersection with Recto Ave. is signalized and the median island is tapered to accommodate vehicles queuing to turn left towards Mendiola or Legarda. The LRT Line 2 superstructure is also visible in the photo above Recto. Pedestrians walk along the building arcades that are typical of most older buildings in Manila, which are similar to those in other old cities in the Philippines. 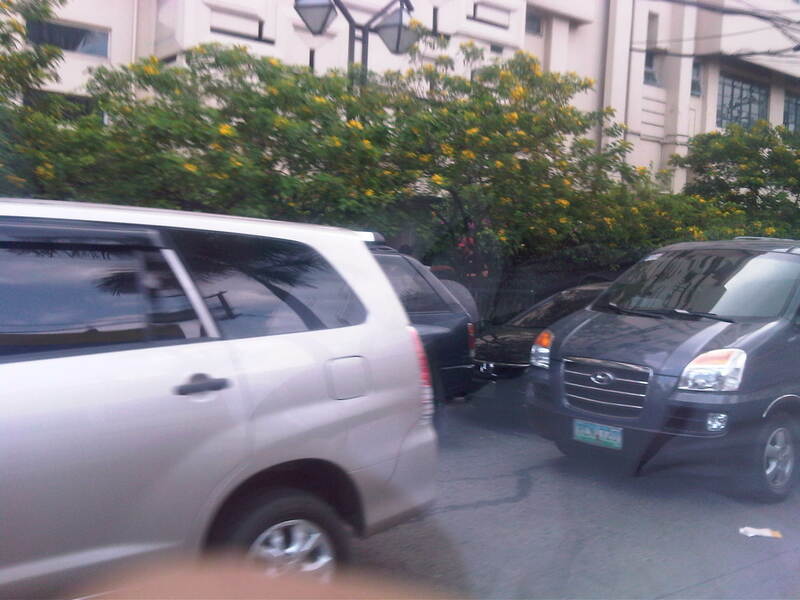 Entry from Recto – the photo shows Morayta as our vehicle turned right from Recto. 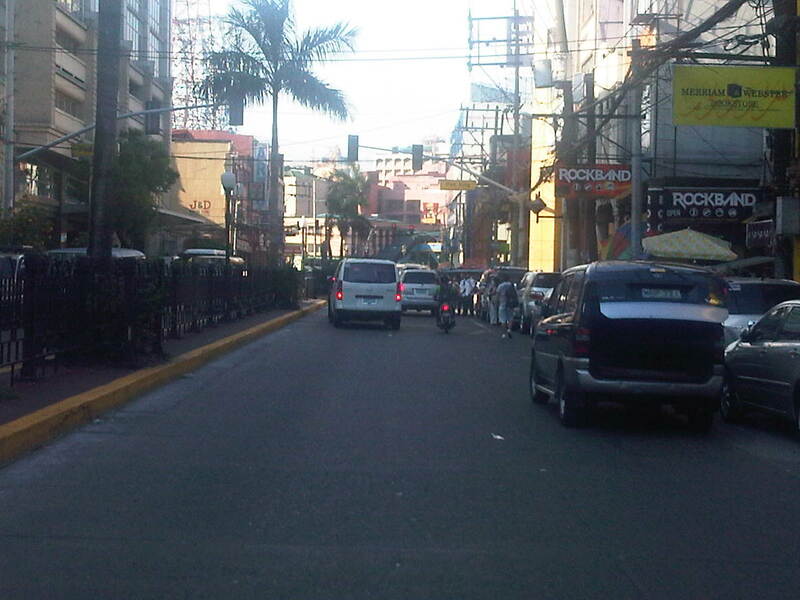 Taken during an April afternoon, there is very light traffic between Recto and R. Papa, and not so many students as those shown in the previous photos, which were incidentally taken during the morning of the same day. Note the vehicles parked on the curbside. Build-up – approaching the signalized pedestrian crossing, we noticed some congestion due to the stopped vehicles and the presence of pedestrians. 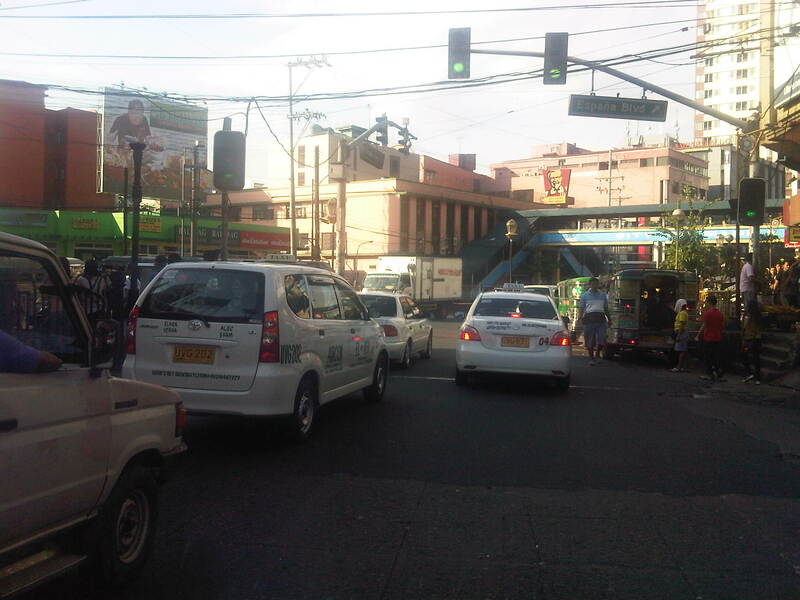 The section between R. Papa and Espana is usually congested due to several reasons including the presence of an informal jeepney terminal at the corner of Espana and Morayta. 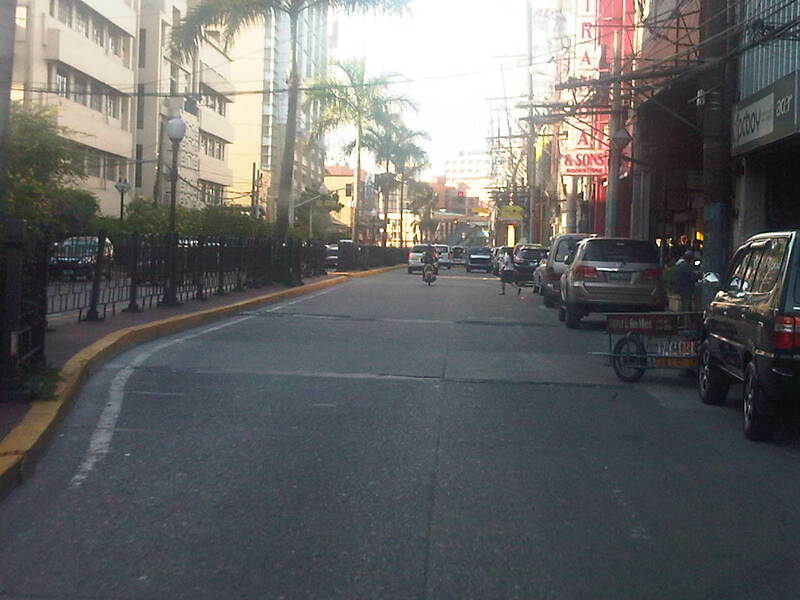 Junction with Paredes – a peek at Paredes St. shows more parked vehicles and tricycles lined up and waiting for passengers. Public transport demand along Manila’s side streets are served by tricycles and pedicabs, and until a few months ago by what were called “kuligligs.” The latter were also paratransit modes that were the motorized versions of pedicabs fitted with motors or generators much like the ones used in farm equipment or motorized bancas in seaside towns. These are called tricyboats in Davao. Meanwhile, the term “kuliglig” is used in many parts of Luzon for farm tractors used as public transport in the rural areas. 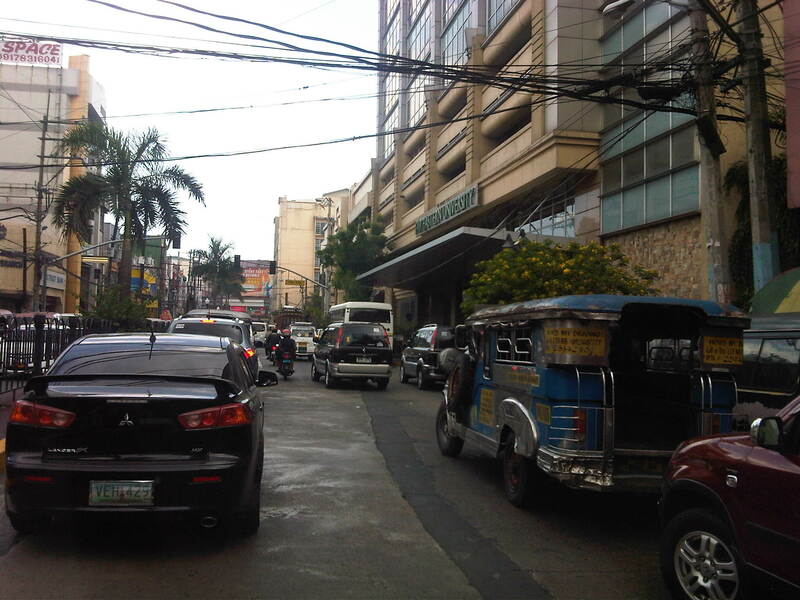 Paredes St. is quite busy as the Professional Regulations Commission (PRC) is located along the street. Informal terminal – the approach to Espana is usually congested in part due to the informal jeepney terminal from the corner of the junction. Some jeepneys even tend to bypass the line and pick-up passengers right at the corner and often blocking turning traffic. Approach to Espana – the intersection is signalized but there are jeepneys usually camped out at the corner, effectively reducing throughput along the intersection. There are many streets like Morayta in Manila that can actually be evaluated and considered for pedestrianization if not for road diets. Careful studies and perhaps an experiment here and there should show the feasibility and practicality of generally closing some streets to motor vehicles including tricycles and jeepneys. For some streets, public transport access may be maintained but there should be genuine effort to improve pedestrian facilities to enhance the experience of walking in what are supposed to be historic streets in Manila. Considering the volume of foot traffic in the area, one would assume that the City of Manila should be thinking about how to bring down motor vehicle traffic while providing for public transport and walking needs in the city. 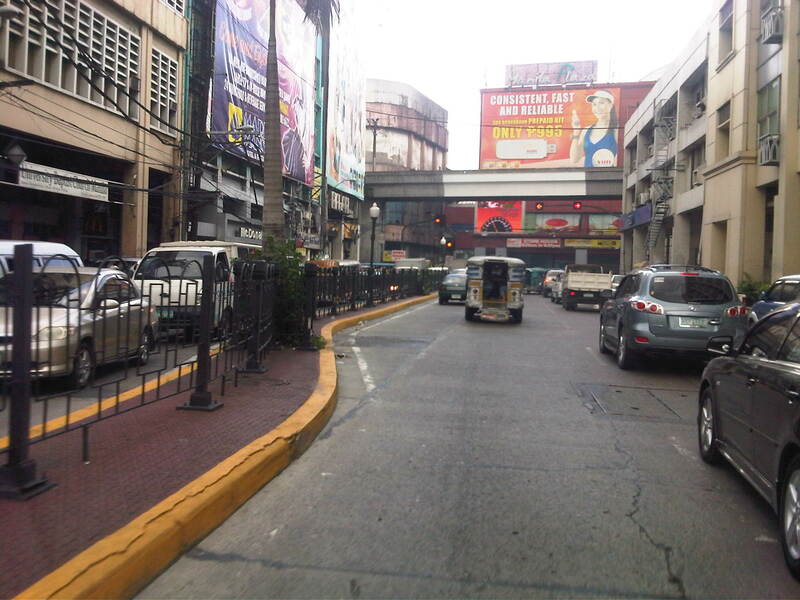 Perhaps some radical plans need to be formulated including out of the box ideas to revive Manila streets such as Morayta? I would like to see the schools come up with these plans and perhaps be instrumental in implementing the same and not just for the sake of their students and staff who are exposed to pollution, congestion and safety risks on a daily basis. It can be done if people and institutions will collaborate to make it happen.